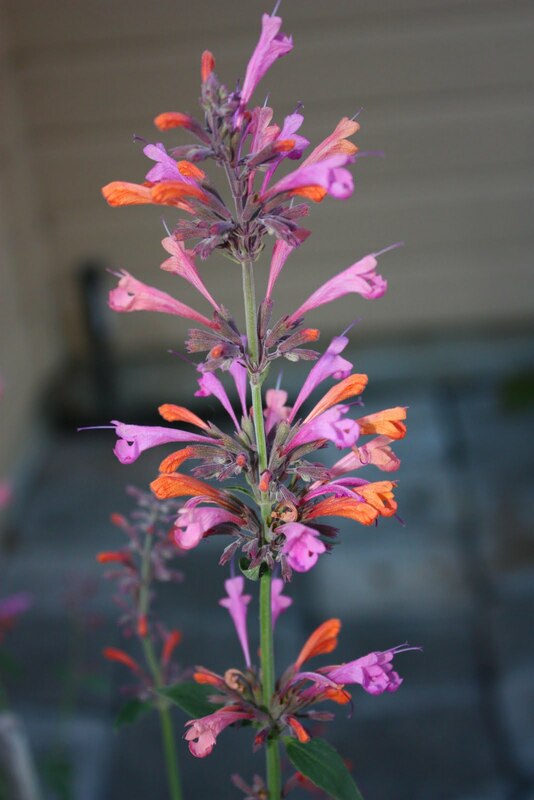 An easy-growing perennial for our area, this plant sends up tall multi-colored spikes that attract butterflies and hummingbirds. The foliage smells like licorice. One of my garden favorites.